This lesson is inspired by the imaginative mobile art of Alexander Calder and the theory of kinetic energy, with a focus on the principles of balance and movement. Based on specimens from the Museum’s Animal Homes education program, guests design their own ecosystem mobile: wetland, woodland, beach, or meadow. Registration recommended. Supported in part by Lily Auchincloss Foundation. Teens, and young adults with Autism Spectrum Disorder and their families learn about the first people of Staten Island while experiencing the Lenape culture through artifacts, authentic materials, and hands-on activities. Sculpt a pinch pot out of clay to take home. Sunday Art Studio is part of Access Art for All, a programmatic partnership with the Staten Island Children’s Museum, the Staten Island Zoo, and the GRACE Foundation of New York, with support from a CreateNYC Disability Forward Fund grant from the NYC Department of Cultural Affairs. See March 17 for next program in the series. Most plastics in use today are made from petroleum oil. In this workshop participants will make their own plastics from organic sources such as milk and gelatin. Registration recommended. *Super Science participants must pay the full suggested admission, accompanying adults enter free. Featuring artworks and seed histories from Hudson Valley Seed Company, documentary videos of Staten Island gardeners by Jay Weichun, photograms of local flora by Gale Wisdom, and museum botanical specimens selected by the Greenbelt Native Plant Center. These four projects explore the cultural, artistic, and scientific impact of collecting plant life. In doing so, they reveal narratives of resilience, fragility, and transformation. 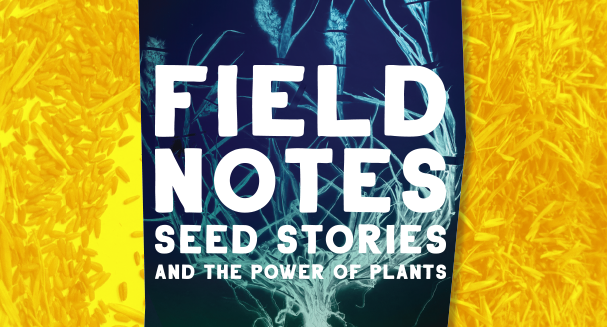 Field Notes speaks to the heritage embedded in the flora around us. For more information, visit StatenIslandMuseum.org.